There are 8 colleges and universities in Ivy League. The Ivy League is a collegiate athletic conference comprising sports teams from eight private institutions of higher education in the Northeastern United States. The conference name is also commonly used to refer to those eight schools as a group. The eight institutions are Brown University, Columbia University, Cornell University, Dartmouth College, Harvard University, Princeton University, the University of Pennsylvania, and Yale University. The term Ivy League also has connotations of academic excellence, selectivity in admissions, and social elitism. All members of Ivy League are private schools.The average acceptance ratio of the schools is 9.00% where Harvard University has the tightest acceptance ratio of 6% and Cornell University has the highest ratio of 15%. Total 143,388 students are enrolled into colleges in Ivy League where Harvard University has the largest population with 29,908 students and Dartmouth College is the smallest with 6,409 students. The average graduation rate is 96.00% and the average students to faculty ratio is 6.63:1 at colleges in Ivy League. Next table shows the academic information and key facts of the Ivy League including acceptance ratio, graduation rates, student population, and students to faculty ratio. Next table lists 2017-2018 tuition & fees and compares the costs between colleges in Ivy League. The 2017-2018 costs are officially published by IPEDS, U.S. Department of Education. The estimated costs for year 2018-2019 are calculated and estimated based on each school's tuition rates last year. For the undergraduate programs, the average tuition & fees of Ivy League is $52,234 where Columbia University in the City of New York has the most expensive costs with $57,208 and Princeton University has the lowest amount of tuition with with $47,140. The average graduate tuition & fees of Ivy League is $44,321 where Brown University has the highest tuition with $53,205 and Cornell University has the lowest amount of tuition with with $29,585. University of California-Irvine is a Public, 4 or more years school located in Irvine, California. Its 2018 tuition & fees are $13,738 for California residents and $41,752 for other students. The tuition has risen by 4.27% from last year and has risen by 22.40% over the current decade (the 2010s) cumulatively. Below charts and tables illustrate the college costs changes at University of California-Irvine including tuition, fees, living costs, and costs for books/supplies. You can check more information about University of California-Irvine including admission, graduation, population, and other statistics at school's full information page. In addition, you can request admission, tuition, and other recent information of University of California-Irvine. Next table and charts illustrates the tuition changes from 2010 to 2018 for University of California-Irvine. The statistics and analysis are based on costs data that are officially published by IPEDS, U.S. Department of Education. The 2018 undergraduate in-state tuition & fees are $13,738 which has increased by 22.31% over the current decade and the out-of-state cost is $41,752 which has risen by 22.40%. In average, the year-by-year rate of increase in tuition & fees is 2.80% while last year increase rate was 4.27%. 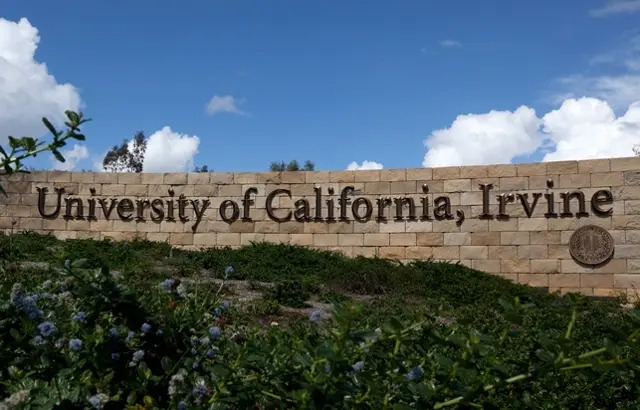 The average graduate school tuition & fees at University of California-Irvine is $28,502 which has increased by 8.89% over the current decade and the out-of-state graduate cost is - which has risen by 0.00%. In average, the year-by-year rate of increase in graduate tuition & fees is 0.00% while last year increase rate was 0.00%. Rensselaer Polytechnic Institute is a Private (not-for-profit), 4 or more years school located in Troy, New York. Its 2017 tuition & fees are $50,797. The tuition has risen by 2.95% from last year and has risen by 24.87% over the current decade (the 2010s) cumulatively. Below charts and tables illustrate the college costs changes at Rensselaer Polytechnic Institute including tuition, fees, living costs, and costs for books/supplies. You can check more information about Rensselaer Polytechnic Institute including admission, graduation, population, and other statistics at schools's full information page. In addition, you can request admission, tuition, and other recent information of Rensselaer Polytechnic Institute. Next table and charts illustrates the tuition changes from 2010 to 2017 for Rensselaer Polytechnic Institute. The statistics and analysis are based on costs data that are officially published by IPEDS, U.S. Department of Education. The 2017 undergraduate tuition & fees are $50,797 which has increased by 24.87% over the current decade. In average, the year-by-year rate of increase in tuition & fees is 3.55% while last year increase rate was 2.95%. The 2017 graduate school tuition & fees are $52,137 which has increased by 25.67% over the current decade. In average, the year-by-year rate of increase in graduate tuition & fees is 3.67% while last year increase rate was 3.37%. Northeastern University is a Private (not-for-profit), 4 or more years school located in Boston, Massachusetts. Its 2017 tuition & fees are $47,653. The tuition has risen by 4.66% from last year and has risen by 29.52% over the current decade (the 2010s) cumulatively. Below charts and tables illustrate the college costs changes at Northeastern University including tuition, fees, living costs, and costs for books/supplies. You can check more information about Northeastern University including admission, graduation, population, and other statistics at schools's full information page. In addition, you can request admission, tuition, and other recent information of Northeastern University. Next table and charts illustrates the tuition changes from 2010 to 2017 for Northeastern University. The statistics and analysis are based on costs data that are officially published by IPEDS, U.S. Department of Education. The 2017 undergraduate tuition & fees are $47,653 which has increased by 29.52% over the current decade. In average, the year-by-year rate of increase in tuition & fees is 4.22% while last year increase rate was 4.66%. The 2017 graduate school tuition & fees are $22,913 which has increased by -14.04% over the current decade. In average, the year-by-year rate of increase in graduate tuition & fees is -2.01% while last year increase rate was 3.86%. Boston University is a Private (not-for-profit), 4 or more years school located in Boston, Massachusetts. Its 2017 tuition & fees are $50,240. The tuition has risen by 3.72% from last year and has risen by 26.03% over the current decade (the 2010s) cumulatively. Below charts and tables illustrate the college costs changes at Boston University including tuition, fees, living costs, and costs for books/supplies. You can check more information about Boston University including admission, graduation, population, and other statistics at schools's full information page. In addition, you can request admission, tuition, and other recent information of Boston University. Next table and charts illustrates the tuition changes from 2010 to 2017 for Boston University. The statistics and analysis are based on costs data that are officially published by IPEDS, U.S. Department of Education. The 2017 undergraduate tuition & fees are $50,240 which has increased by 26.03% over the current decade. In average, the year-by-year rate of increase in tuition & fees is 3.72% while last year increase rate was 3.72%. The 2017 graduate school tuition & fees are $49,886 which has increased by 25.61% over the current decade. In average, the year-by-year rate of increase in graduate tuition & fees is 3.66% while last year increase rate was 3.75%. University of California-Santa Barbara is a Public, 4 or more years school located in Santa Barbara, California. Its 2017 tuition & fees are $14,073 for California residents and $40,755 for other students. The tuition has risen by 5.38% from last year and has risen by 17.91% over the current decade (the 2010s) cumulatively. Below charts and tables illustrate the college costs changes at University of California-Santa Barbara including tuition, fees, living costs, and costs for books/supplies. You can check more information about University of California-Santa Barbara including admission, graduation, population, and other statistics at schools's full information page. In addition, you can request admission, tuition, and other recent information of University of California-Santa Barbara. Next table and charts illustrates the tuition changes from 2010 to 2017 for University of California-Santa Barbara. The statistics and analysis are based on costs data that are officially published by IPEDS, U.S. Department of Education. The 2017 undergraduate in-state tuition & fees are $14,073 which has increased by 20.43% over the current decade and the out-of-state cost is $40,755 which has risen by 17.91%. In average, the year-by-year rate of increase in tuition & fees is 2.56% while last year increase rate was 5.38%. The average graduate school tuition & fees at University of California-Santa Barbara is $28,351 which has increased by 8.52% over the current decade and the out-of-state graduate cost is - which has risen by 0.00%. In average, the year-by-year rate of increase in graduate tuition & fees is 0.00% while last year increase rate was 0.00%. Lehigh University is a Private (not-for-profit), 4 or more years school located in Bethlehem, Pennsylvania. Its 2017 tuition & fees are $48,320. The tuition has risen by 4.52% from last year and has risen by 21.47% over the current decade (the 2010s) cumulatively. Below charts and tables illustrate the college costs changes at Lehigh University including tuition, fees, living costs, and costs for books/supplies. You can check more information about Lehigh University including admission, graduation, population, and other statistics at schools's full information page. In addition, you can request admission, tuition, and other recent information of Lehigh University. Next table and charts illustrates the tuition changes from 2010 to 2017 for Lehigh University. The statistics and analysis are based on costs data that are officially published by IPEDS, U.S. Department of Education. The 2017 undergraduate tuition & fees are $48,320 which has increased by 21.47% over the current decade. In average, the year-by-year rate of increase in tuition & fees is 3.07% while last year increase rate was 4.52%. The 2017 graduate school tuition & fees are $25,560 which has increased by 19.83% over the current decade. In average, the year-by-year rate of increase in graduate tuition & fees is 2.83% while last year increase rate was 2.90%. University of California-Davis is a Public, 4 or more years school located in Davis, California. Its 2017 tuition & fees are $14,046 for California residents and $40,728 for other students. The tuition has risen by 5.35% from last year and has risen by 16.91% over the current decade (the 2010s) cumulatively. Below charts and tables illustrate the college costs changes at University of California-Davis including tuition, fees, living costs, and costs for books/supplies. You can check more information about University of California-Davis including admission, graduation, population, and other statistics at schools's full information page. In addition, you can request admission, tuition, and other recent information of University of California-Davis. Next table and charts illustrates the tuition changes from 2010 to 2017 for University of California-Davis. The statistics and analysis are based on costs data that are officially published by IPEDS, U.S. Department of Education. The 2017 undergraduate in-state tuition & fees are $14,046 which has increased by 17.46% over the current decade and the out-of-state cost is $40,728 which has risen by 16.91%. In average, the year-by-year rate of increase in tuition & fees is 2.42% while last year increase rate was 5.35%. The average graduate school tuition & fees at University of California-Davis is $28,339 which has increased by 7.70% over the current decade and the out-of-state graduate cost is - which has risen by 0.00%. In average, the year-by-year rate of increase in graduate tuition & fees is 0.00% while last year increase rate was 0.00%. Case Western Reserve University is a Private (not-for-profit), 4 or more years school located in Cleveland, Ohio. Its 2017 tuition & fees are $46,006. The tuition has risen by 3.25% from last year and has risen by 22.20% over the current decade (the 2010s) cumulatively. Below charts and tables illustrate the college costs changes at Case Western Reserve University including tuition, fees, living costs, and costs for books/supplies. 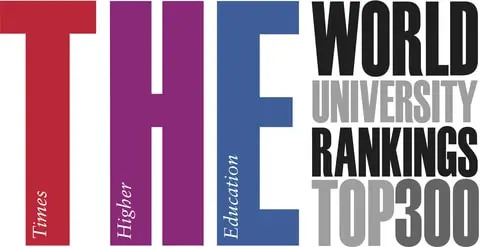 You can check more information about Case Western Reserve University including admission, graduation, population, and other statistics at schools's full information page. In addition, you can request admission, tuition, and other recent information of Case Western Reserve University. Next table and charts illustrates the tuition changes from 2010 to 2017 for Case Western Reserve University. The statistics and analysis are based on costs data that are officially published by IPEDS, U.S. Department of Education. The 2017 undergraduate tuition & fees are $46,006 which has increased by 22.20% over the current decade. In average, the year-by-year rate of increase in tuition & fees is 3.17% while last year increase rate was 3.25%. The 2017 graduate school tuition & fees are $42,610 which has increased by 24.07% over the current decade. In average, the year-by-year rate of increase in graduate tuition & fees is 3.44% while last year increase rate was 3.50%. Georgia Institute of Technology-Main Campus is a Public, 4 or more years school located in Atlanta, Georgia. Its 2017 tuition & fees are $12,212 for Georgia residents and $32,404 for other students. The tuition has risen by 0.02% from last year and has risen by 25.40% over the current decade (the 2010s) cumulatively. Below charts and tables illustrate the college costs changes at Georgia Institute of Technology-Main Campus including tuition, fees, living costs, and costs for books/supplies. You can check more information about Georgia Institute of Technology-Main Campus including admission, graduation, population, and other statistics at schools's full information page. In addition, you can request admission, tuition, and other recent information of Georgia Institute of Technology-Main Campus. Next table and charts illustrates the tuition changes from 2010 to 2017 for Georgia Institute of Technology-Main Campus. The statistics and analysis are based on costs data that are officially published by IPEDS, U.S. Department of Education. The 2017 undergraduate in-state tuition & fees are $12,212 which has increased by 62.42% over the current decade and the out-of-state cost is $32,404 which has risen by 25.40%. In average, the year-by-year rate of increase in tuition & fees is 3.63% while last year increase rate was 0.02%. The average graduate school tuition & fees at Georgia Institute of Technology-Main Campus is $30,072 which has increased by 7.98% over the current decade and the out-of-state graduate cost is - which has risen by 0.00%. In average, the year-by-year rate of increase in graduate tuition & fees is 0.00% while last year increase rate was 0.00%.